In the fall of 2001, Kathy Ruffatti founded Ruffatti Ophthalmic Instruments (ROI) to offer cutting edge Ophthalmic, Diagnostic and Treatment systems that are both clinically proven and highly reimbursable. Ever since then, we have watched our ROI team grow, and our customer base expand throughout the Midwest. We have been able to strengthen our committment to offering excellent products and unparalleled service. 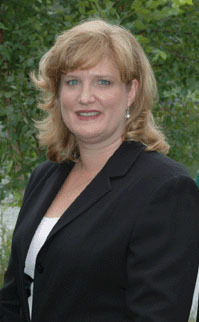 Kathy received her degree in Business and Marketing from Roosevelt University in Chicago in 1990. She started her ophthalmic career in 1995 with Marco Technologies as a high-tech product sales representative. It was then that she realized ophthalmic practices were in need of not just cutting edge technology, but innovative ways of implementing these technologies to better improve patient care and practice profitability. This experience led to the approach ROI takes in selling ophthalmic instruments and services. Her reputation with local professionals has made ROI one of the fastest growing ophthalmic companies in the Midwest.